Spoons. While you can use and re-use your finest silver, I bought a pack of cute mini-faux-silver spoons from one of those Super-Cheap shops – 50 spoons for $2. Bargain. Chocolate. As always, the better the quality, the better the result will taste. For dark chocolate in particular, try using one that is at least 75% cocoa. You’ll thank me for it later. 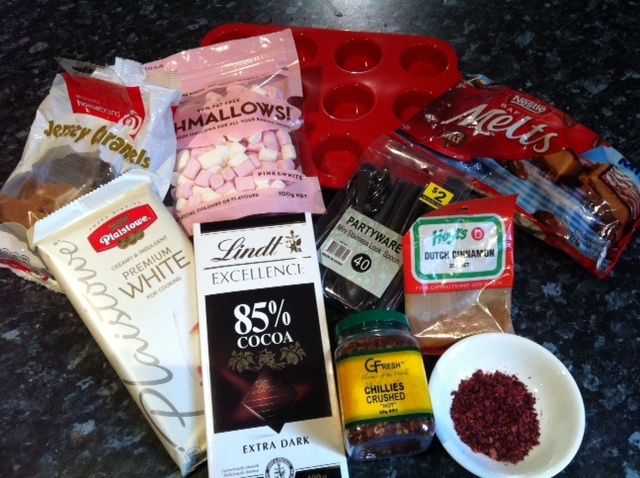 Flavours: try adding mini marshmallows, chopped Jersey Caramels, cinnamon or chilli. Be adventurous! Try sea salt flakes (on dark choc) or raspberry dust* (recipe below) My one word of advice is this – think about who you’re making these for. Kids or adults? 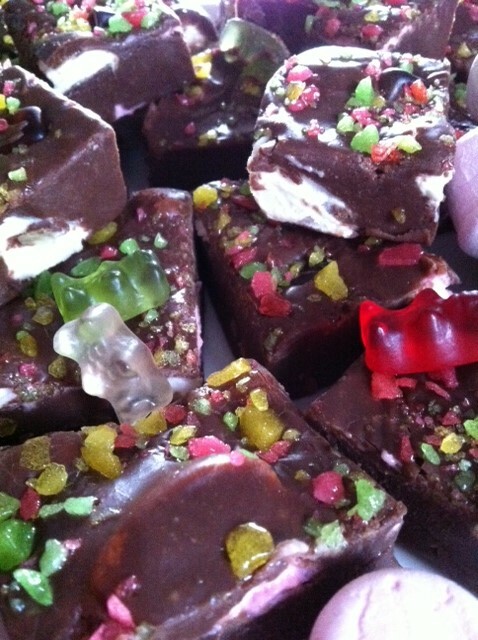 For my children, I’m more likely to make them with marshmallows, for myself – chilli or raspberry. A chocolate mould. Make sure it’s deep enough to fit a spoon. I used a mini-muffin silicone mould. Make sure your mould is clean and dry. Melt chocolate in a cup in the microwave, or in a double boiler over the stove. 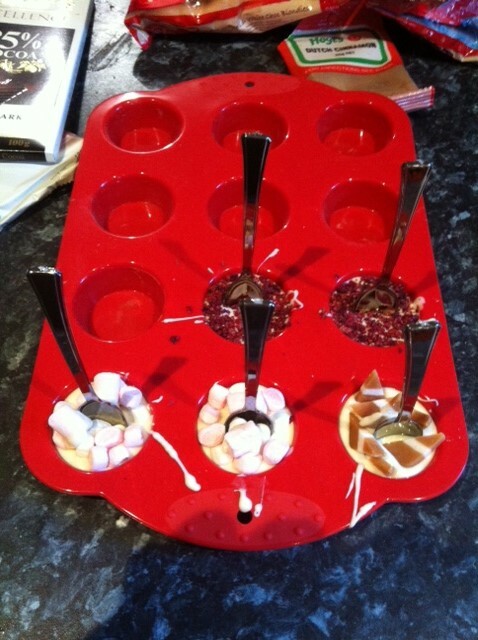 Spoon melted chocolate into moulds, tapping gently to get rid of any air bubbles. 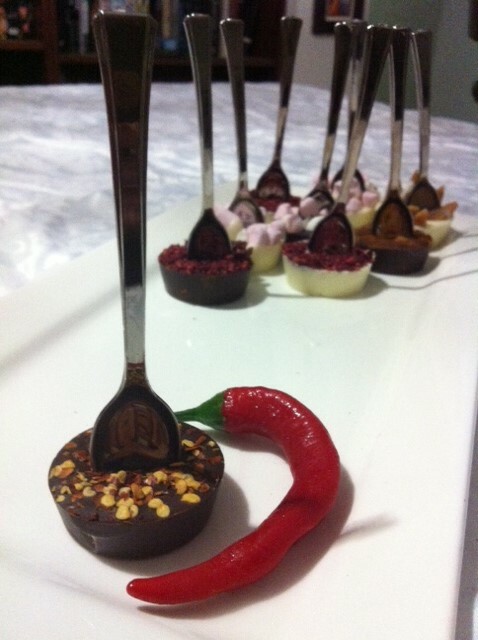 Add the spoon and flavours before chocolate sets completely. 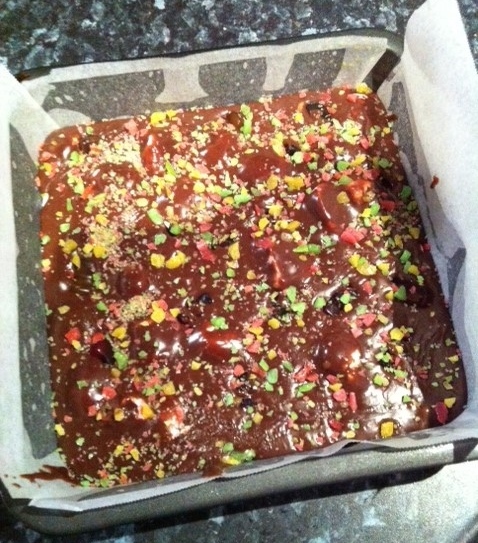 Leave for at least twenty to thirty minutes, pop out of mould gently. Heat milk in either a saucepan over low heat – don’t let it quite come to the boil – or in the microwave. 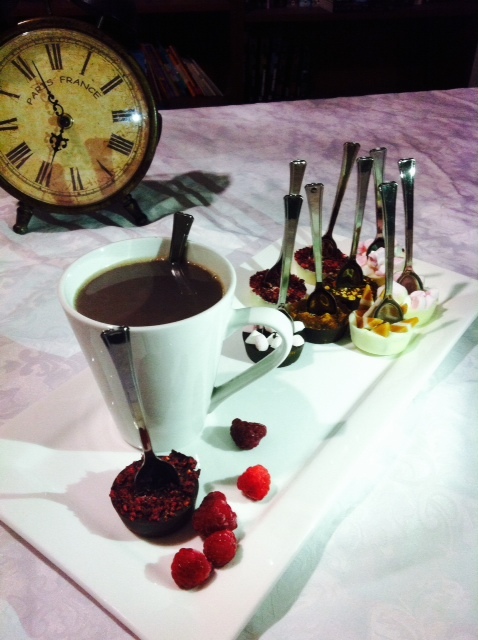 Serve in a large cup or mug, add chocolate spoon and stir until chocolate has dissolved. Yummo! 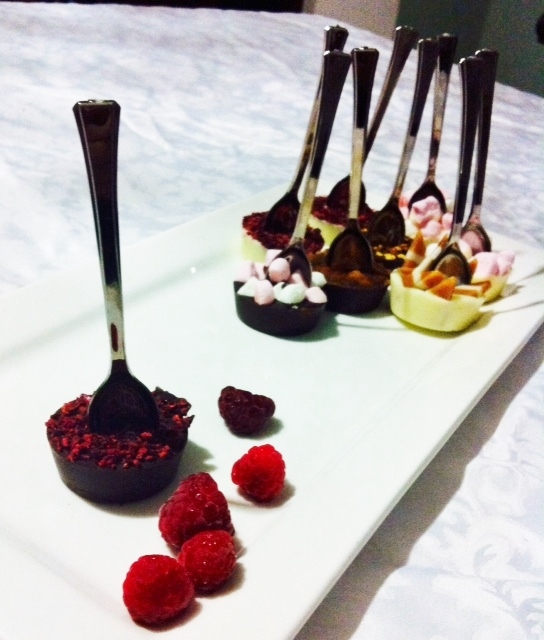 Chocolate spoons are also great bunched together and tied with ribbon for a simple gift idea. Try finding delicate vintage spoons at your local second hand shop or market, playing around with mould shapes and sizes…the ideas are endless. A handful of fresh raspberries, washed, dried and thrown into the dehydrator for about 5 hours on high. They won’t develop a crunchy texture, more like a fruit leather. Once dried, place the fruit into a snap lock bag, and into the freezer. Once frozen – but still in the bag – smash gently with the back of a knife of small hammer. Store in an airtight container in the pantry. 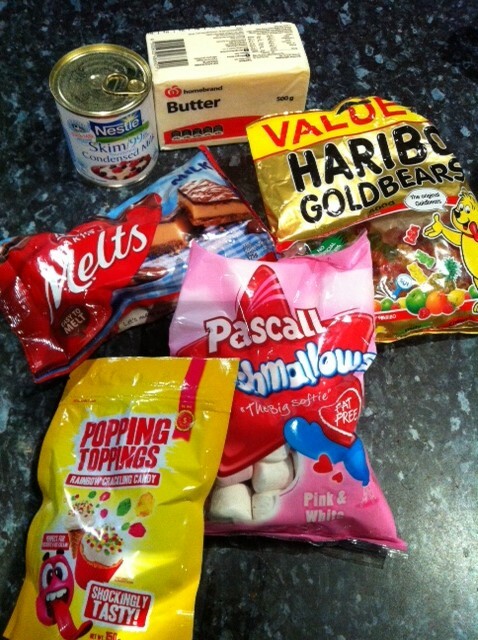 Use sprinkled on ice cream, meringues, biscuits or even warm Camembert cheese.